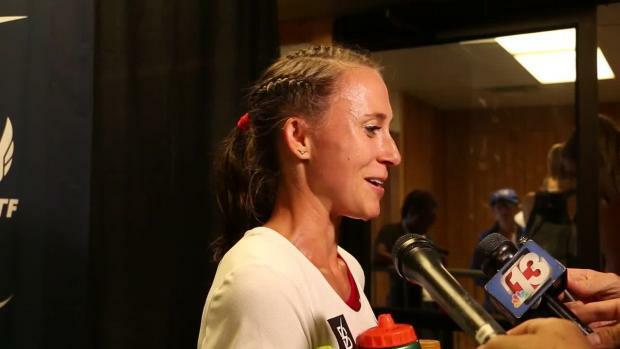 Many coaches, nutritionists, and athletes have noted an increase in recent years of diagnosed eating disorders among female athletes, particularly in the running world. 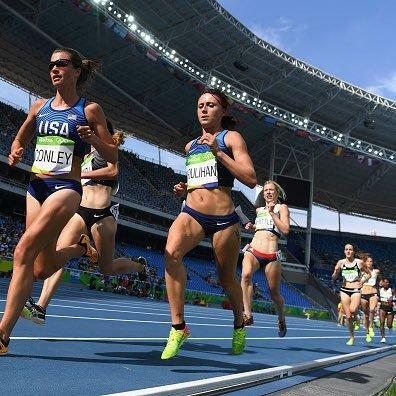 The phrase "thinner is the winner" became common among many female runners, leading to an increase in not only disordered eating, but the consequences that often follow- stress fractures, heart problems, decreased success on and off the track, and more. With personal stories like Lauren Fleshman's Dear Younger Me letter and Karissa Schweizer's How the Collegiates Fuel, the truth behind disordered eating is becoming less taboo of a topic and an important piece of information for athletes of all levels, ages, and abilities. Earlier this week we heard from 2016 Olympian Courtney Frerichs on how she properly fuels her body for success. 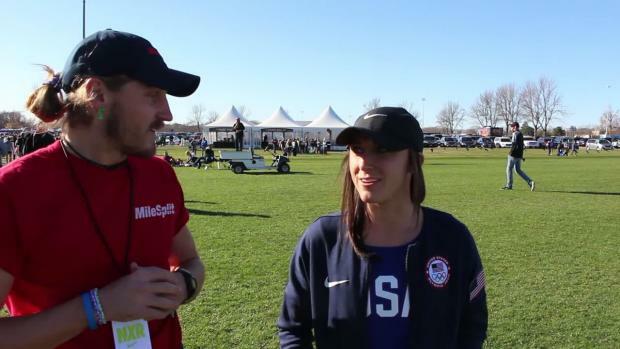 As we approach Worlds in London, her Bowerman Track Club teammate and Iowa native Shelby Houlihan also opened up to us about her development of good eating habits and what her daily food diary often looks like. Shelby has been a high-caliber athlete for many years, with various Iowa State and Drake Relays titles to her name during her years at Sioux City East, NCAA titles from her time at Arizona State and 12 NCAA All-American honors, multiple Junior Worlds appearances, an excellent appearance in the 5000m at the 2016 Olympics in Rio De Janeiro, and 2 USA titles this year already and a qualifier to Worlds. 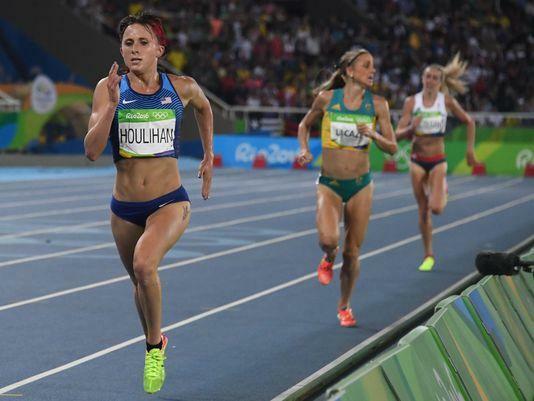 She is considered to be one of the most versatile female runners of this time with impressive times to boast from the 800m all the way through the 5000m. 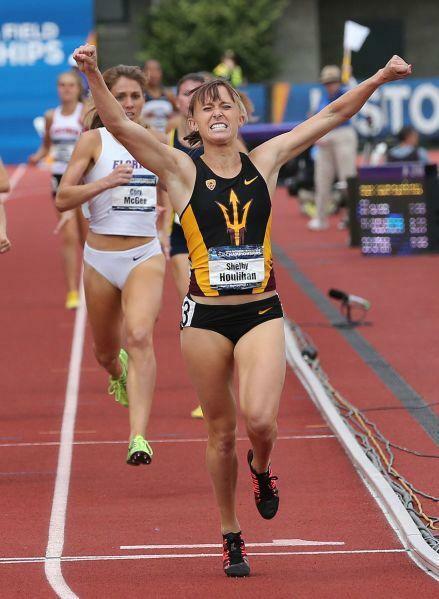 Since her graduation from Arizona State, Shelby has made great improvements as a member of the Bowerman Track Club, training with athletes like Shalane Flanagan, Amy Hastings-Cragg, Betsy Saina, Courtney Frerichs, Colleen Quigley, and more. Throughout the year, many of the BTC athletes travel around the world for races and altitude training- living together, training together, cooking together. In recent weeks, Shelby has been in St. Moritz, Switzerland on an altitude stint and is seen in many of Courtney Frerich's snapchats on local food adventures. Continue below to see how her eating habits have progressed over the years and what her daily fuel intake looks like to help her prepare for and recover from her intense training. Breakfast- yogurt with blueberries/strawberries and granola and some coffee. Lunch- Usually two pieces of Avocado toast with an over easy egg on each. I'll usually include a smoothie too (banana, strawberries, yogurt, milk, spinach/kale for example). Dinner- Some type of protein, usually chicken or salmon and once a week, steak. Paired with a bunch of roasted veggies (green beans/broccoli/brussel sprouts, bell peppers, onion, mushrooms, garlic) and sometimes rice or pasta. One of my signature dinners is my fish (salmon) tacos with mango avocado salsa that I'll usually make about once a week. I got the recipe from Shalane's Run Fast Eat Slow book but I've added my own touches to it. I might make some popcorn for a midday snack or some kind of fruit. If I'm craving dessert, I'll have an apple with peanut butter during the competition part of the year. Otherwise, ice cream all the way!! With healthy, strong athletes like Shelby speaking out about the importance of fueling properly, Shalane Flanagan working side by side with chef Elyse Kopecky to develop the Run Fast Eat Slow cookbook, and athletes continuing to make their personal lives available to fans via social media, she and many other female athletes continue to break through barriers and set new records, both on the personal level and on the world stage. Now we get to sit back and watch Shelby continue to dominate, and wish her luck at Worlds in London!